“Yesterday the sad news reached me that the both the NOMOS Club 701 and it’s see-through back sibling the NOMOS Club 703 are now officially discontinued. As of today they are no longer available for retailers to order through NOMOS as they have no stock left!” (full article). While I am not 100% sure what this means in terms of numbers or time frame, I guess this is good news for us Club fans? Alon Ben Joseph took time to share a cup of coffee and answer some questions about the new released limited edition: Ace x Nomos Club Campus Amsterdam. He has been active in the family company since 1998. 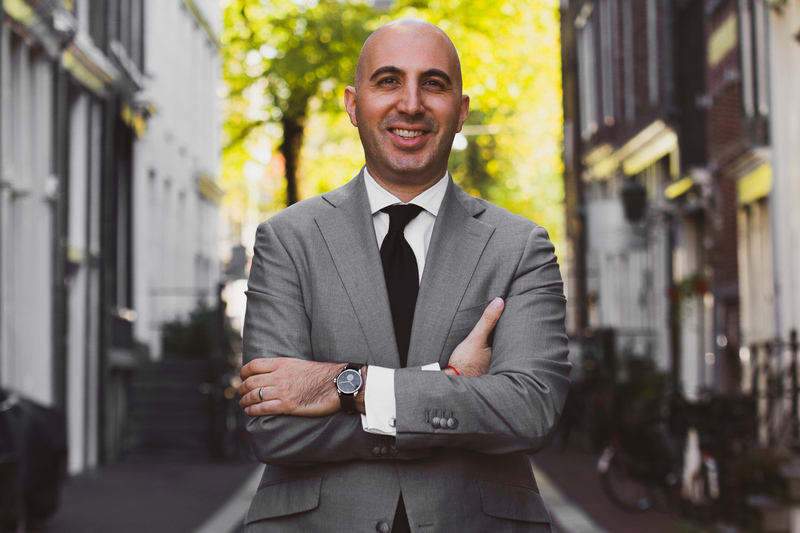 After obtaining his Bachelor degree in New York, Alon continued his Master degree in Business Economics at the University of Amsterdam. Very proud that Ace Jewelers was the first Dutch luxury jeweler in The Netherlands to open an eBoutique, Alon is also passionate about watches, gem stones, IT & E-commerce, Tennis and Cinema. A: As a watch collector and jeweler as well I always try to keep track of the various watch brands out there. 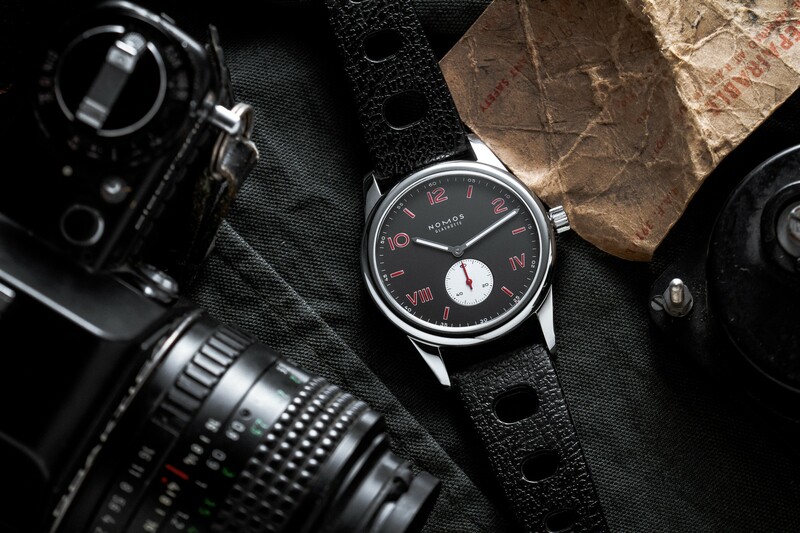 The year NOMOS was founded, they caught my eye immediately. I am a huge fan of both the Bauhaus movement as well as German engineering & pünktlichheit. First of all it is their general philosophy and business ethos. Then there’s the superbly clean designs, which are executed to perfection. Finally there’s the fact that their such a well-rounded company. From design and marketing to manufacturing of cases, movements, dials and hands – most of it is done in-house in either Berlin or Glashütte. That’s cool! A: We made a dial design that has never done before, it was out of the ordinary, but very much in-line with NOMOS’ philosophy and style code. We knew it was not an easy sell, but we were blown away by the love and positive responses we received. Both from watch collectors as well as art aficionado’s! We are proud to say we have only a few left in-stock. A: This is almost a rhetorical question, but actually a very good one. There are many reasons, buy maybe the most important: it is very exciting to take part in the design of a watch. A dream for many watch collectors. We got elevated from retailer & friend of the brand to co-designer. I consider this to be one of the highest honors a retailer can get! 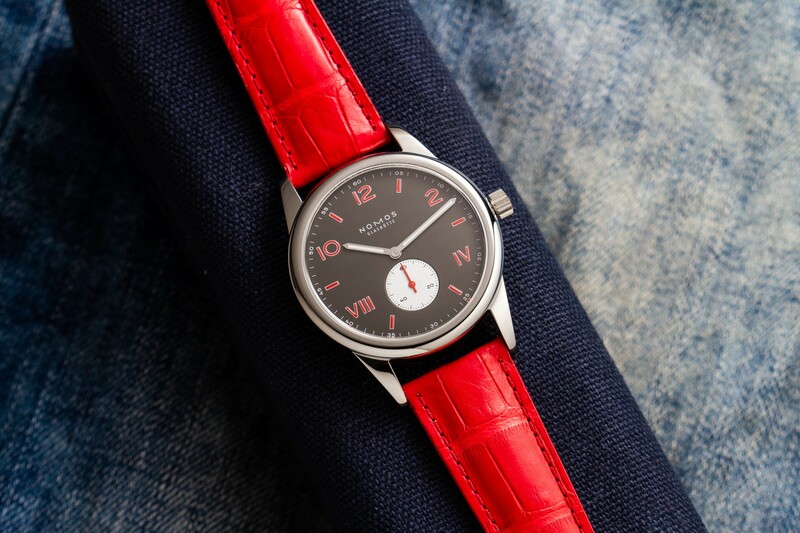 And, what makes it even more special, we have had the privilege to apply the colors of our beloved Amsterdam to one of our favorite NOMOS watches. A perfect match! I love dial with the mixed Arabic and Roman numerals. 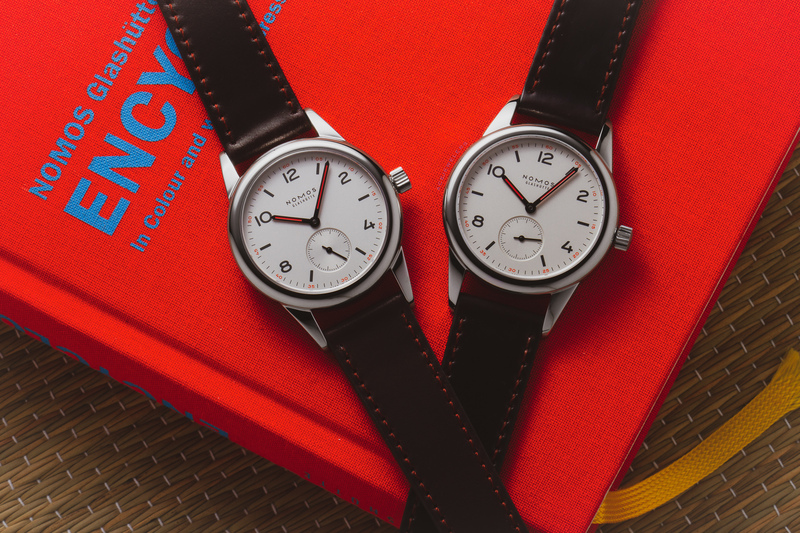 I was so happy NOMOS launched the Campus two years ago. It makes for such a fun dial! The club really is an all-round watch. It is classic and timeless, yet also sporty, casual, fun, and not afraid of a bit of water. Basically like our hometown Amsterdam! We think this watch was the best match for the colors of the coat of arms of Amsterdam. We did an Orion as first Watch, we wish to do a collab for every single model in the NOMOS collection. This might be ambitious, but we hope to make it happen! A: We went back to the basics, the logo of Amsterdam, which it is believed dates back to 1280-ish AD. We think that black, red & white are timeless colors, but also a bit sporty. 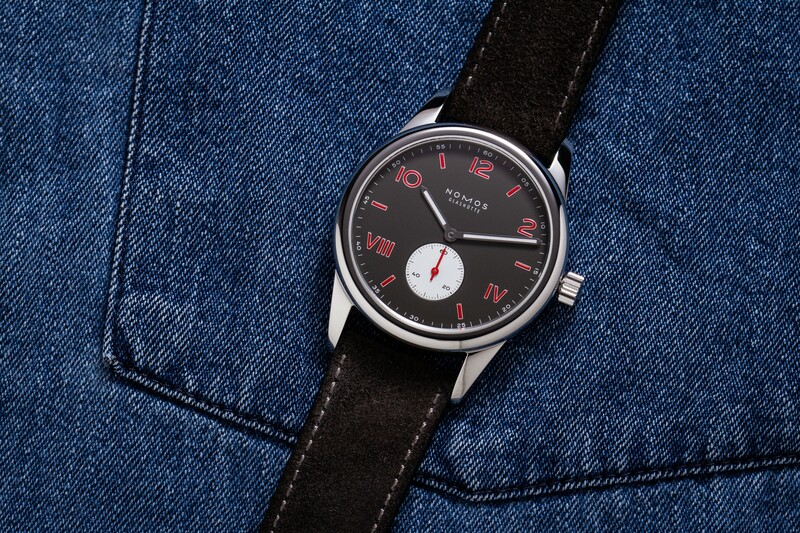 This is why we choose the Club model of NOMOS. We had many and intense discussion if we should choose a ‘regular’ Club or a Campus… But for me personally I love the inverted California dial. It makes it even more fun and makes it stand out more. When we (re)design a watch, we want it to add value… It should compliment the current collection. And, for the record, we never ever would dare to say improve the original watch. That is a mission impossible. We just want to add a fun aspect… We believe that most buyers of this watch will either already have a Club or at least one NOMOS already. Whatever you like! I think it works well with both casual as well as more formal wear. Though for a really elegant occasion I’d probably wear my Orion de Stijl! We’ve had just 75 pieces made, which are all individually numbered on their case backs! There will not be more. It’s available in our boutiques and via www.Ace.am/NOMOSLE2. It is the smallest metropolitan city in the world. It is stunningly beautiful, and the people are laid back, open & fun. Okay, that was more than three words. A. Ooooh, good one. So many… If I had to choose one: Ace Photo Studio/Ace Online on the first floor of Koningsplein 1. Literally in the heart of Amsterdam, on the canal and the corner of the Flower Market. It does not get better than this. I can sit here all day and look out of the window! Stunning. We are so fortunate to have obtained this office space, after hunting it down since 1998! Many thanks Alon for your time and answers! The main novelty for this Nomos Club Campus Amsterdam Limited Edition is to be found on the dial. While entirely black or silver-plated on standard versions, Ace Jewelers here add a splash of colour and a two-tone layout. Indeed, while the dial is galvanized and ruthenium-plated, the small seconds sub-dial is white silver-plated. Hop over to Monochrome Watches for the full article!